Jai The Artist | Create. Here’s a quick and easy idea to breathe some new life into the tired old board games your kids want to keep playing over and over. Use Lego minifigures as your game board pieces! 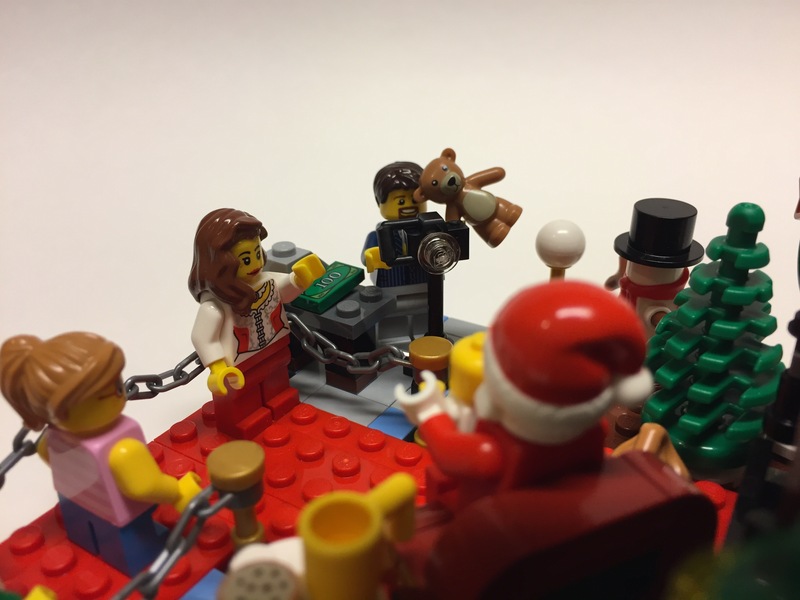 After my kids trashed the paper cutout players for Chutes and Ladders, and have almost somehow lost all of the Candy Land players, I finally realized that I had a treasure trove of exciting new players at my disposal, Lego minifigures! Just grab your favorite characters or maybe you can create personalized figures of yourselves to play your games for you! My kids are obsessed with “The Nightmare Before Christmas” so we used our Jack and Sally minifigures this time. 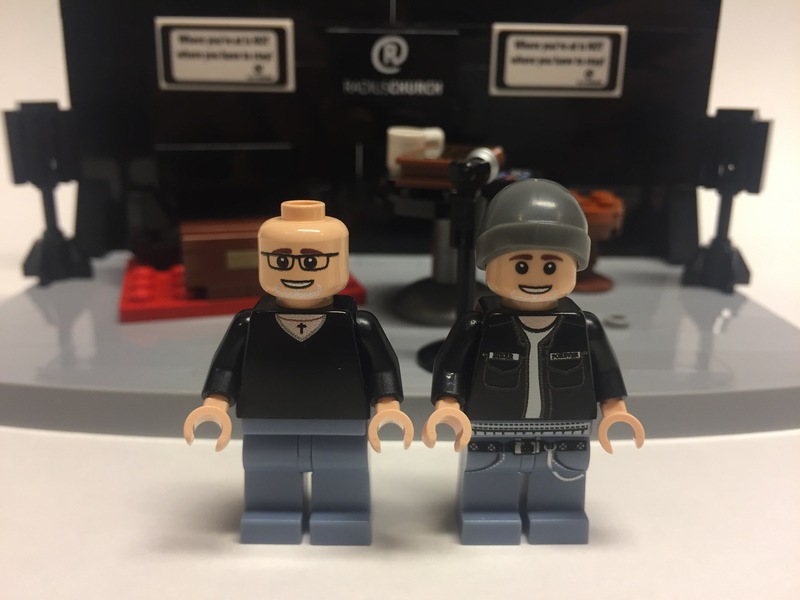 These are custom made by the fine folks at minifigs.me but any minifigs you have will do perfectly! Maybe Yoda and Darth Vader can duke it out in a game of Monopoly! It’s been awhile since I posted a guitar retrospective. There are still quite a few to go to get caught up to present times, so here we go! This guitar started life back in early 2008 as a guitar kit. I had been looking into other means of obtaining guitars to refinish and after doing several Squier strats (“Wild Horses”, “Koi Flower”, “Miartisme”) I wanted to try these kits I had been reading about. I had done an LP style guitar from a Saga kit before, but I had tracked down some strat and tele style electric guitar kits made by Grizzly, which was a big woodworking and metalworking machinery company that had a local store, so I was able to go and pick a few up to try out. It wasn’t a typical place you would think to find guitar kits. Turns out the owner of Grizzly was a luthier himself, who made some pretty amazing guitars, so he offered these kits and other guitar parts through his company. You can still get guitar parts there, but it appears the kits are no longer available. It was your standard electric guitar kit, decent body and neck, with a blank headstock (the stratocaster and telecaster style headstocks are copyrighted by Fender so couldn’t be reproduced and sold), and probably lower end hardware and electronics. I remember the reason I wanted to try guitar kits was because you started with a complete guitar, and the body was a blank canvas, you didn’t have to do any work to strip it down before you could refinish it. 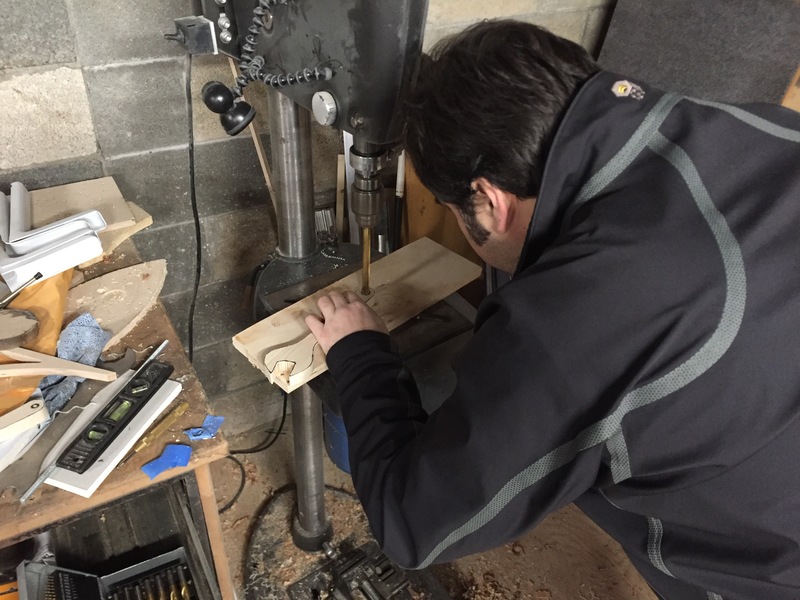 But it was wise to do a rough assembly of the guitar to make sure everything fit together ok, so there wouldn’t be any fun surprises at the end. For the finish, I had this cool looking green fabric, I don’t even know how to describe it. If I were to free associate I would use words like; Celtic, hippie, natural, earthy, lavender, forest, green, free, peace, love, unity. I felt it was a great opportunity to use on one of these strats, and it really worked out for getting a good placement on the guitar to maximize the graphic element and still remain a cool subtle look. I started with the front and decided to finish the back with fabric also, with a more subdued section of the print, but it works to keep continuity. Here are some shots of the process. Pretty simple with this one, used the standard material finish process I’ve come to know: glued fabric on, sanding sealer, cut it out, more sanding sealer (a lot), sanding, paint, clear coats, final wet sanding and polish. The kit came with a plain white pick guard, I didn’t feel this particular look required a matching pick guard, so I didn’t apply fabric to it, but I didn’t want to leave it stark white either. I decided to paint it the same color as the edges and burst of the guitar, which was a seafoam green. I thought that color worked really well to compliment the graphic on the print as well as brighten it up overall, as the main color of the guitar was a dark green. Man I can’t believe I used to have time to think about stuff like that. As I said earlier, the kit came with a headstock blank, which looks like this. It’s just a paddle, which doesn’t look very good. I didn’t feel like dealing with this again myself, like I had with the Les Paul style guitar. So I talked to some people on the guitar forums I visited at the time, and found somebody that would cut them out for me in the traditional “strat” style. I sent them off, and they came back all nice and pretty, ready to go. Also, during the process of refinishing this guitar, it became apparent who I was making it for. Some very close friends of mine were getting married, and try as I might, they just wouldn’t push their wedding date back so I could get this thing properly done in time to give it to them. (I know right!? So selfish.) I thought about my options, and realized I would just do as they do, and go with the flow, and use the opportunity to make it really personal, so I hand wrote the name on the headstock and added a personal note on the back. I don’t think I’ve had to admit this yet, but I did this on the day of their wedding before leaving my house. I was working on this thing to the very last minute. It is by no means fancy, but I think it’s fitting, and it works, and that’s what I tell myself. You’ve been wondering this whole time, “What the hell is HB Adventure”? I purposely waited until the end to tell you, because I worry about your attention span and wanted you to earn it. Let me be the first to say, Congratulations! Here it comes. HB stands for Hannah and Barry, two very dear friends who I knew separately and then came together to create a beautiful life, incredible love story for sure. <humor>You see Barry was my ex-boyfriend and Hannah was a chick I knew in High School, at least that’s how I remember it. 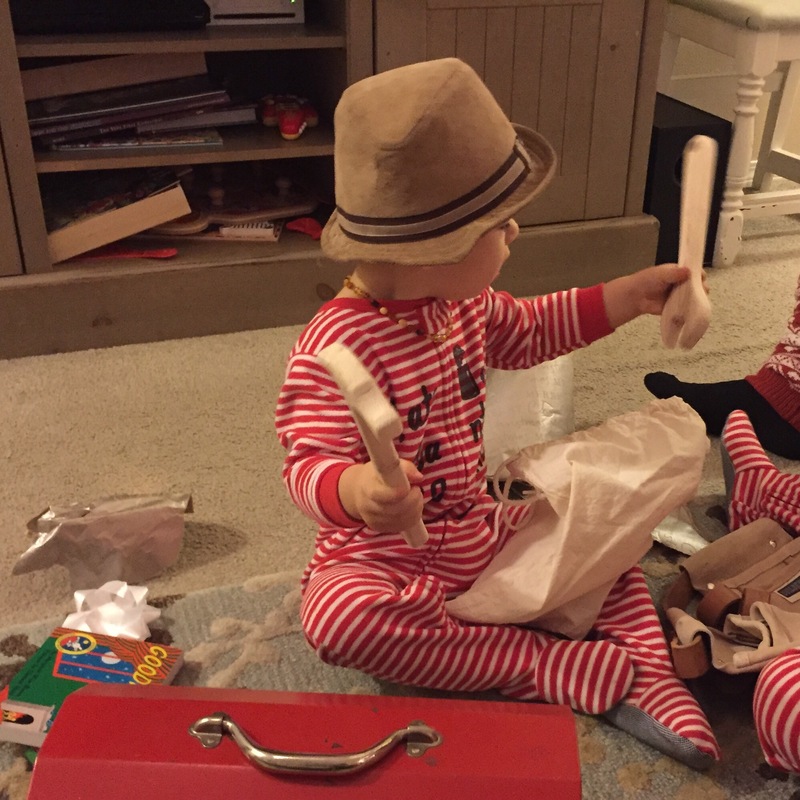 </humor> They really lived life proper traveling and had a blog to tell us all about it while I stayed home making guitars and checking in on their adventures. Life is still happening over at HBAdventure.com, to the fullest to be sure. I really admire my friends who have always seemed to do life right, exploring and capturing the very best life has to offer, and leaving the rest. They teach that now to their two beautiful daughters. Homemade gifts. 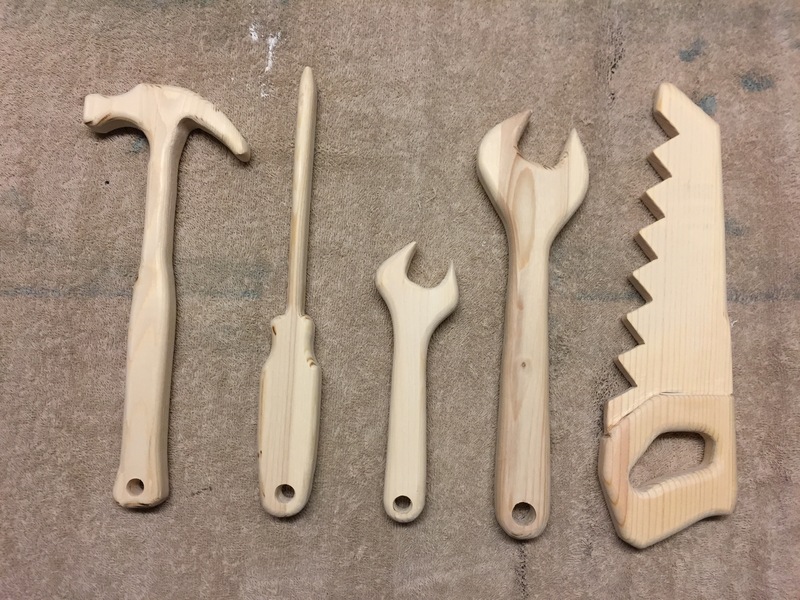 Wooden toy tools. 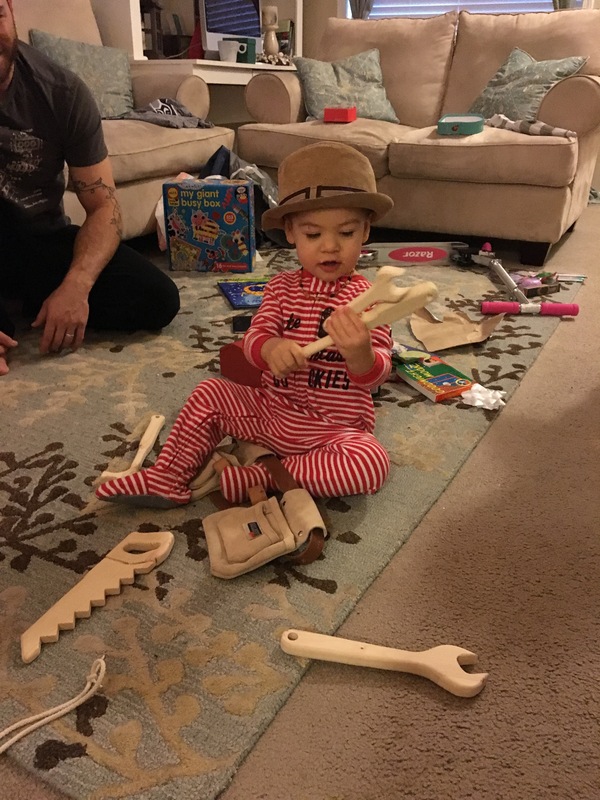 My wife and I have a love for wooden toys. They have such a timelessness and warmth to them, and will often last through generations. 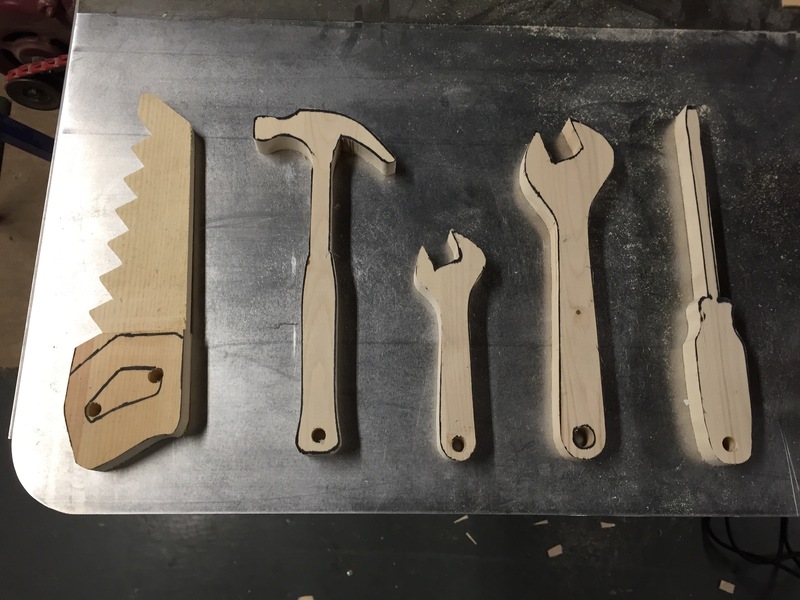 We have bought wooden toys and keepsakes for our kids in the past, but this Christmas, instead of making the usual Etsy purchases, I thought I would take a shot at making them myself. 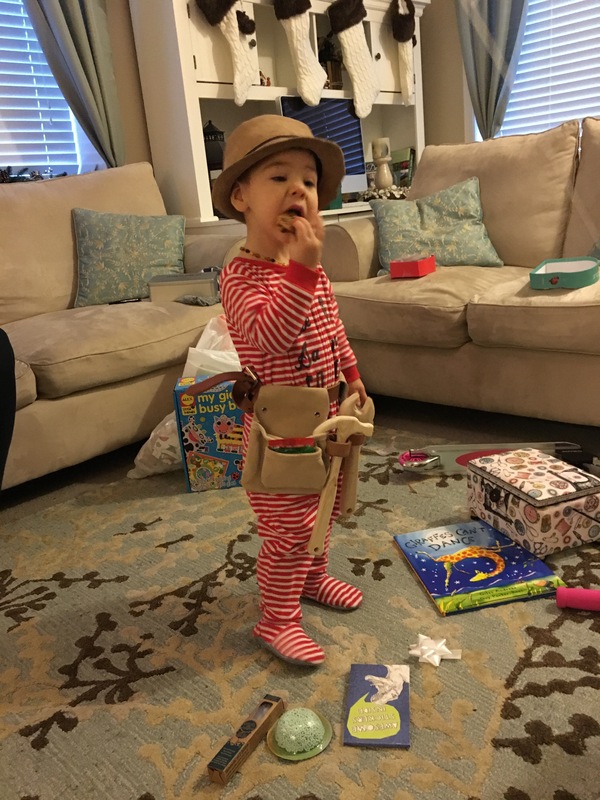 My son is almost 2, so I thought some toy tools would be fitting. 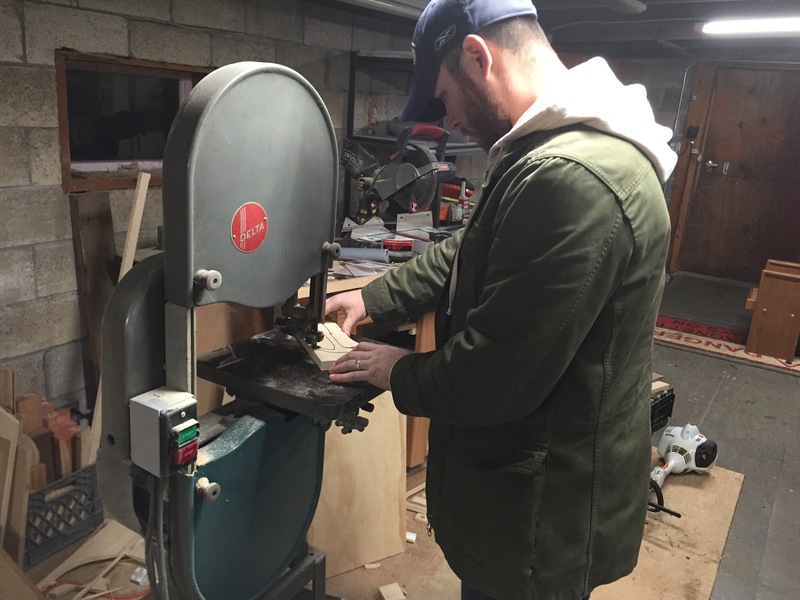 I headed to my brother’s place where he has a shop, so would be easier to do the work with all of the large tools handy. 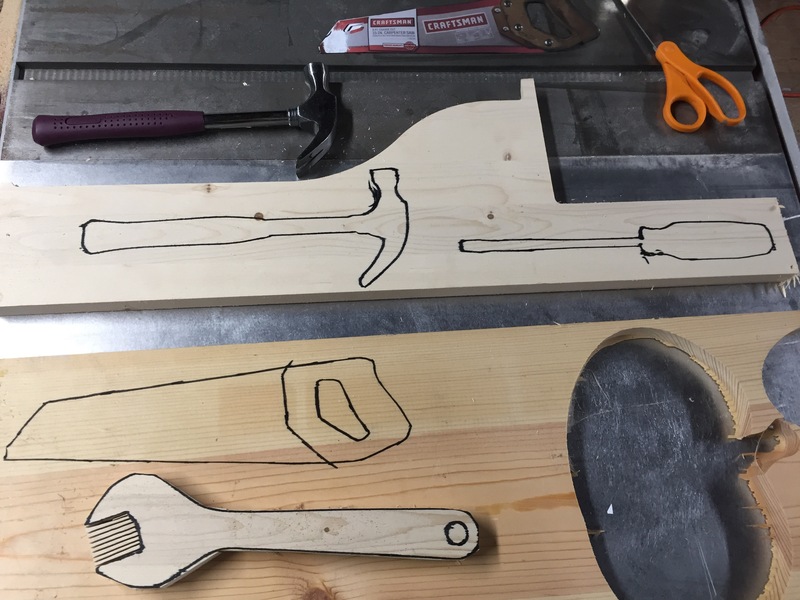 I had some basic tools that I traced out on some scrap pine boards that he had laying around. Once I had them traced out I seperated each template and took them one by one to the bandsaw to get a rough cutout. 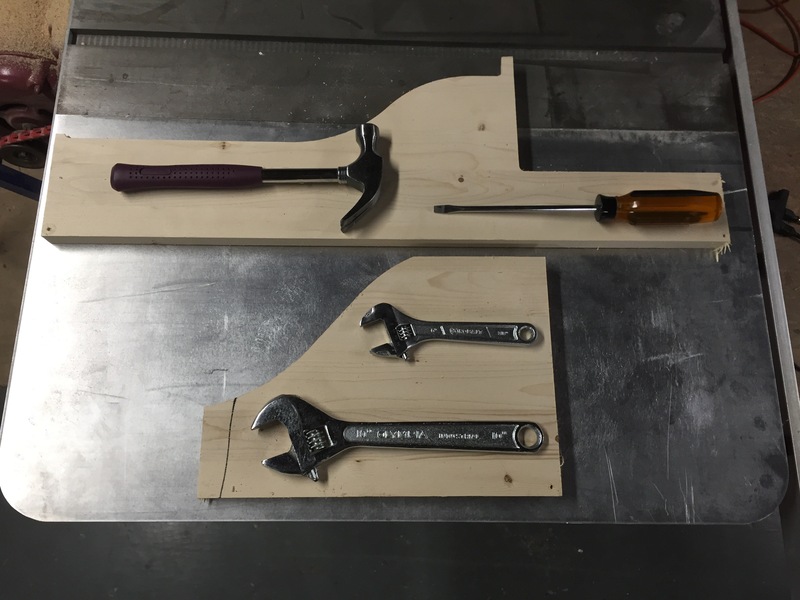 After cutting each one out my brother would hit it with the drill press to make any necessary holes, we ended up putting a hole in the bottom of each tool (except the saw) for hanging. 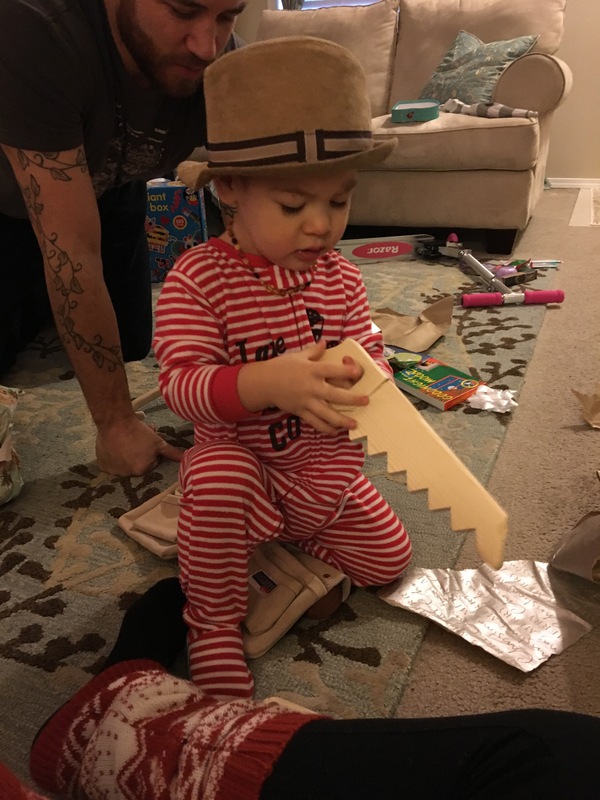 The saw was a bit interesting because the handsaw I had to use as a template was quite larger for a little 2 year old hand, we had to shrink it down. 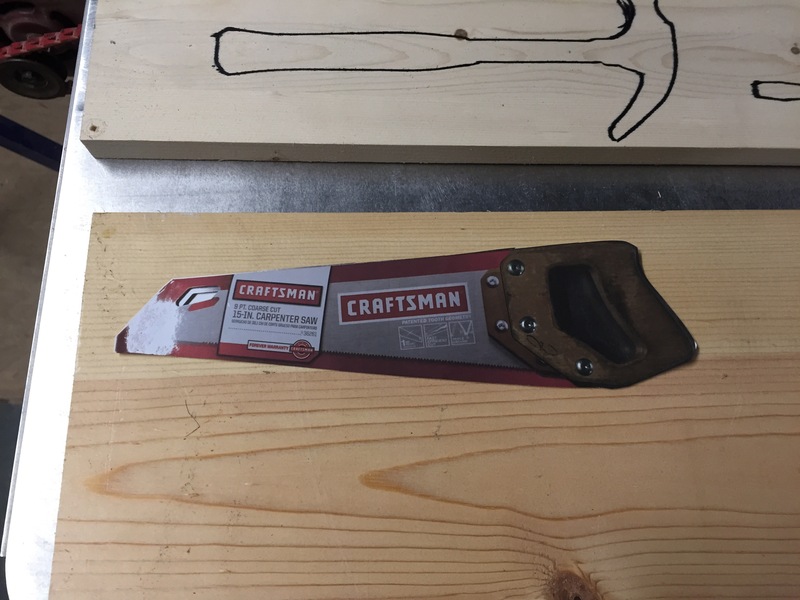 My brother took a picture of the full size saw, took it into the computer and printed an image as big as would fit on a sheet of paper, so that became our new template. New saw template, shrunk down. 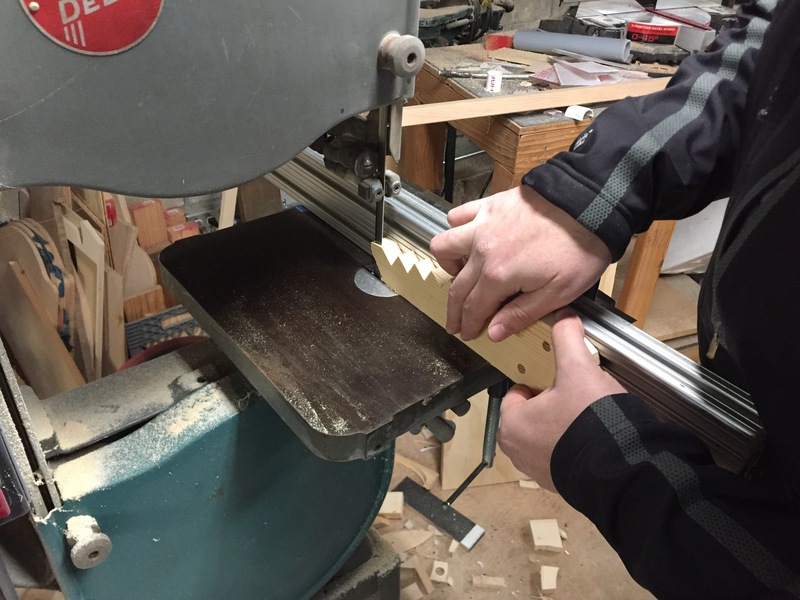 To get the feel of the “blade” being separate from the handle, we shaved off a bit from each side with the bandsaw. Some more intricate dremel work and sanding was able to shape the rest of the handle. It was a pleasure going through the process of making these toys, extremely satisfying experience. But the joy of watching my boy playing with and enjoying something I made by hand, is incomparable. 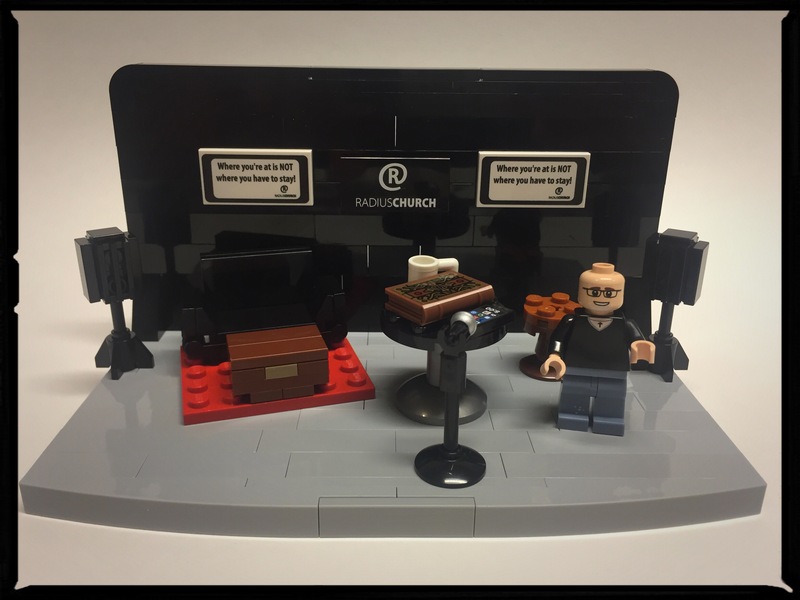 An opportunity came up recently to create a Lego vignette for a build competition held by Lego at their Rebrick site. 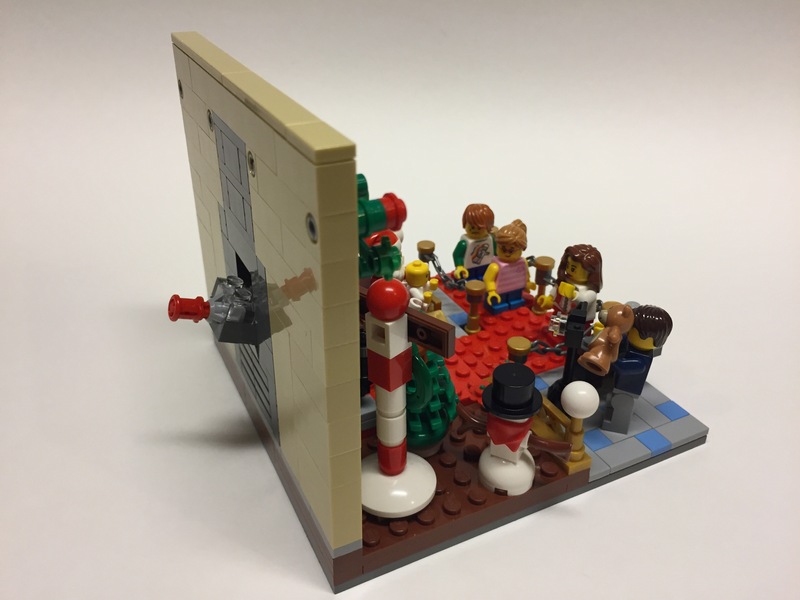 The task was to create a room to add to one of Lego’s modular buildings. 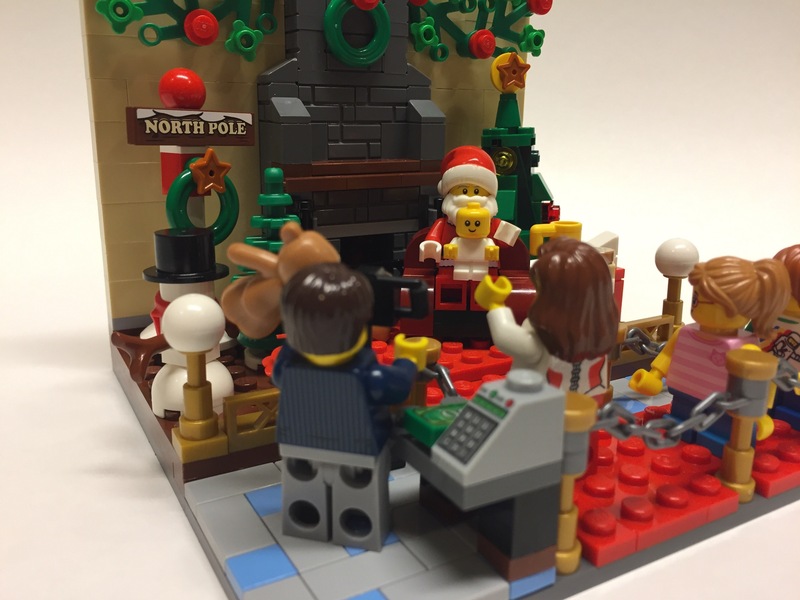 The Grand Emporium is the Lego shopping mall, and being Christmas time, malls across the country feature a pop-up Christmas display where parents and children line up to get their picture taken with Santa. It can be a happy and exciting time, or it can be a frustrating and miserable experience. Sometimes both at once! It has become a modern tradition to parade our children in front of Santa so they can happily tell him what they want for Christmas or they can ball their eyes out in a wild screaming fit. Either way, picture worthy and parents line up for hours to roll those dice to see what reaction they’ll get that year. I tried to capture all of the usual elements in one small scene. 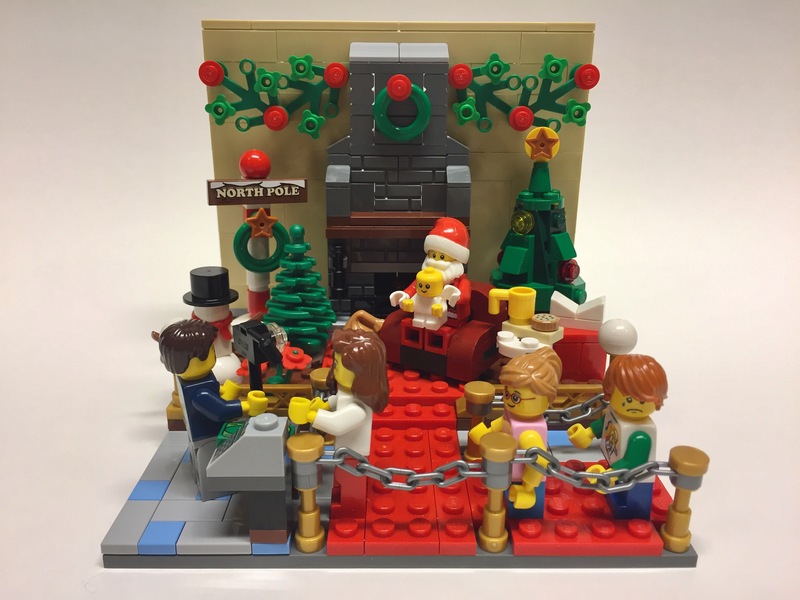 So this vignette is a typical festive scene, centered around Santa in an oversized comfy chair in front of a fireplace, which does light up in fact! I mounted a light brick on the back side of the wall to illuminate the fireplace with a warm glow. 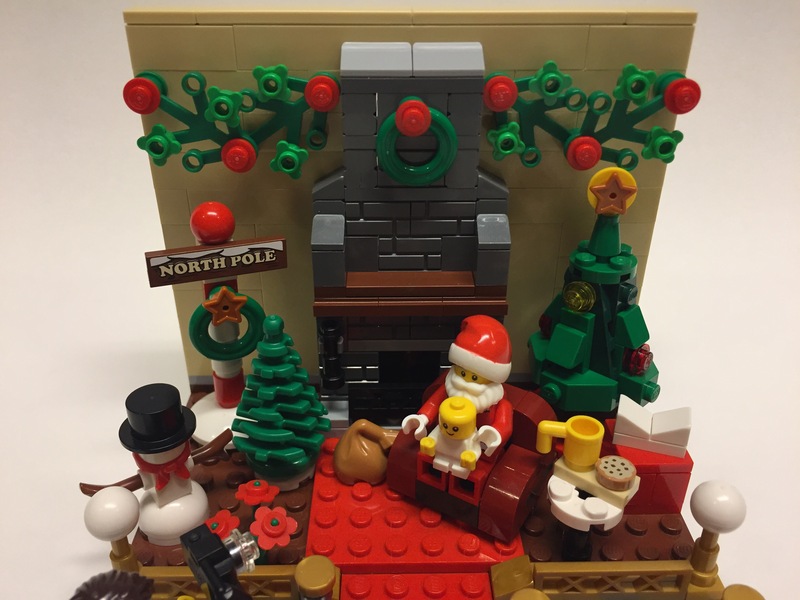 Includes the familiar Christmas fare like Christmas tree, North Pole sign, snowman, table with milk and cookie, and presents. One child in line has a happy expression and one is crying, very typical in this situation! 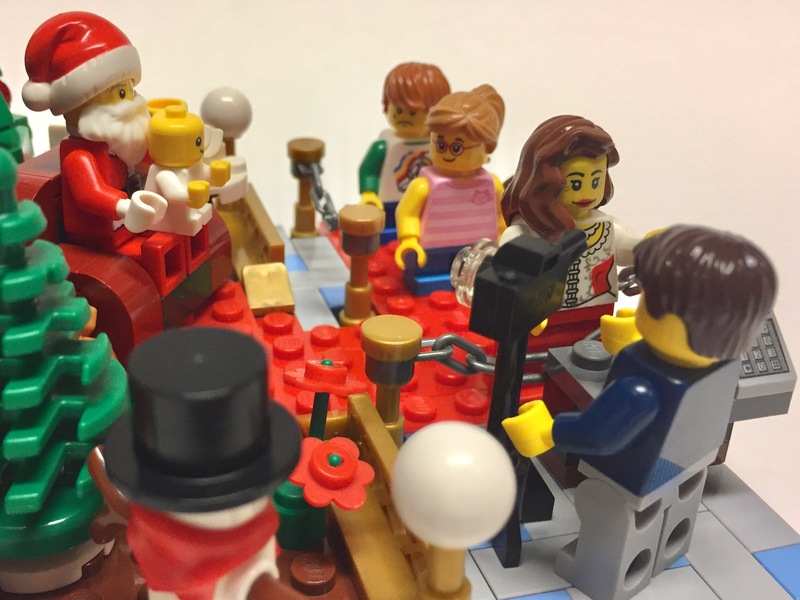 Also features a mother who brought her baby in for first pictures with Santa, and her and the photographer doing whatever it takes to get a smile out of baby, also very typical for this scene! 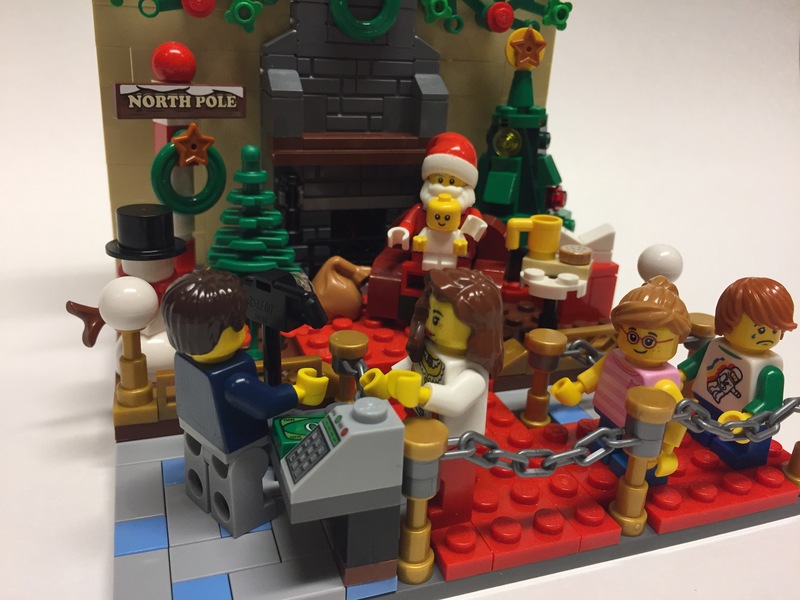 This was a lot of fun and I loved finally doing a Christmas scene in Lego, and having my wife help me was a joy and I think the result was far better than it would have been if I did it on my own, and it got done much quicker. Thanks for checking it out, I hope you enjoy and Merry Christmas! There seems no better time than the night of the 2016 Presidential Election to showcase some incredible United States themed Lego builds. The Lego Americana Roadshow is a traveling exhibit of iconic buildings and architecture from around the United States created entirely out of Lego bricks. I had the chance to visit a local area mall that was hosting the exhibit during the second half of October. On Saturday October 22nd I packed the family up and dragged them to the Alderwood Mall in Lynnwood, WA so I could stare at some Legos assembled in some incredible shapes. My adorable family being dragged along (prior to meltdowns). Upon entering the mall and quickly scanning the area I found the first display and secured a map with all the necessary information. I’m going to go down the list and share my pictures of each one, but let me just say that these were all AMAZING! They were huge in scale, way bigger than I had anticipated, and intelligently spread throughout the mall to provide some space to gather around, and made it a bit of a scavenger hunt. The map also had a question for each model, so kids (and adults) could learn a thing or two, which they could find the answer to on a sign posted near the model which had information on both the original piece of architecture and the Lego model alike. This completed form could have been turned into the Lego store for a free poster of the event, but my typically adorable children reached meltdown status during the last couple of models so we rushed right on out of there to avoid being judged by strangers. And here are the models. I don’t have a lot of commentary for these other than they are flat out impressive. Not just size which is obvious but detail, and sheer number of bricks when you are looking up close, for each one. Incredible. For most of these I had to stand quite a ways back in order to get the whole model in the frame, so that says something about the size of these. You can click on a picture to see a larger version and there’s an option to see full size image. Well I hope you enjoyed those images and could appreciate the scale of these models. As an added bonus, we went on the weekend where they had a “make-and-take” event. There was an area set up where people could line up and collect pieces to make a miniature Washington Monument to take home for free. My daughter and I each took a set home. Nothing beats free Lego. They had a different “make-and-take” model for each stop on the tour, you can find the instructions for each one here. 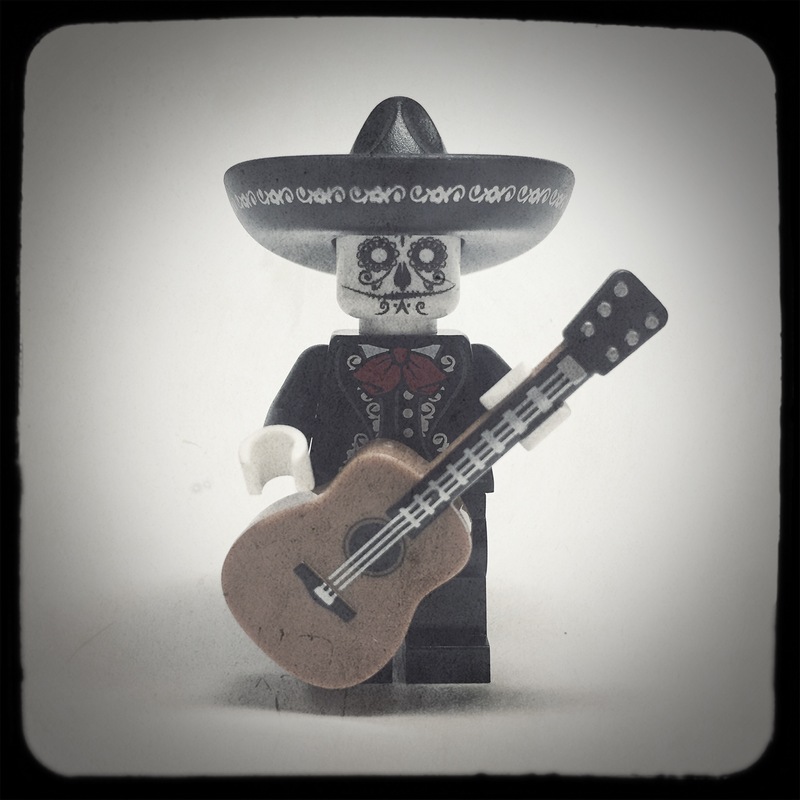 I thought it would go perfectly with the Mariachi collectable minifigure from the most recent series 16. I think I was right. So cool! This was a very special build for me. Vignettes are my favorite type of build to make. I love little scenes, snapshots. 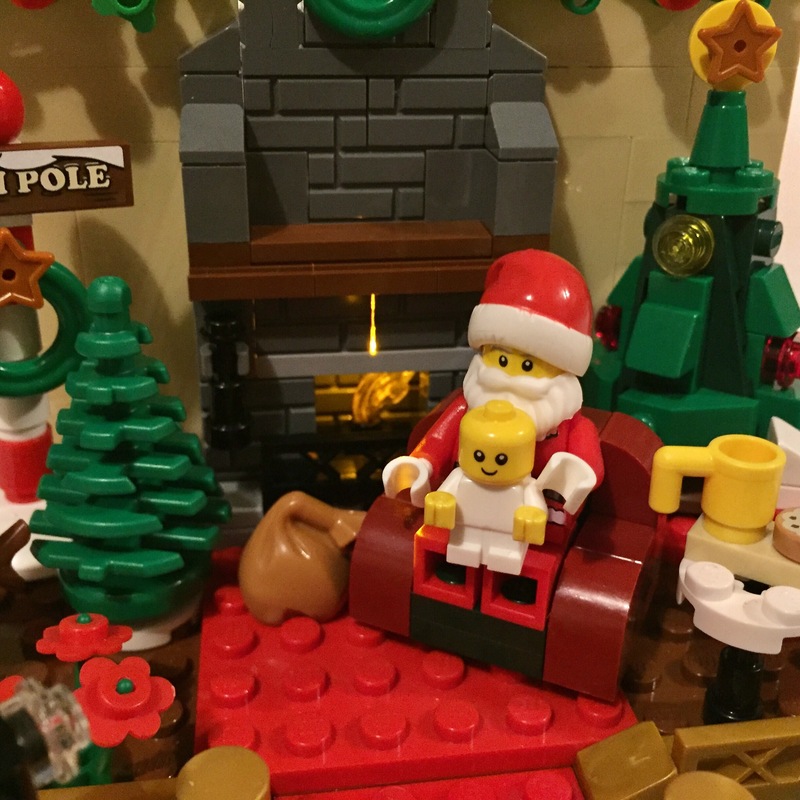 I’ve had this nagging idea to make my own Lego sets, specifically for people that are special to me, and give them as gifts. 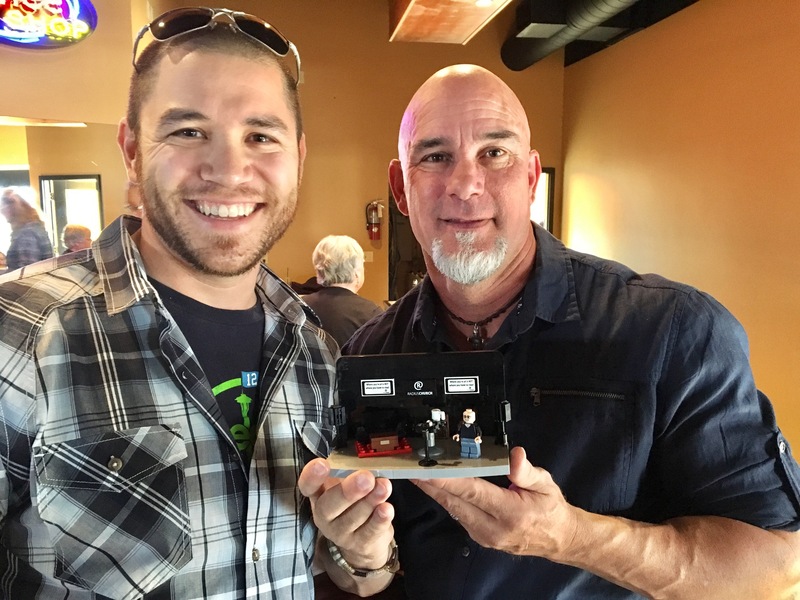 My family has been part of a new church, Radius Church, and a week before launch date, my pastor said something that struck a chord in me. 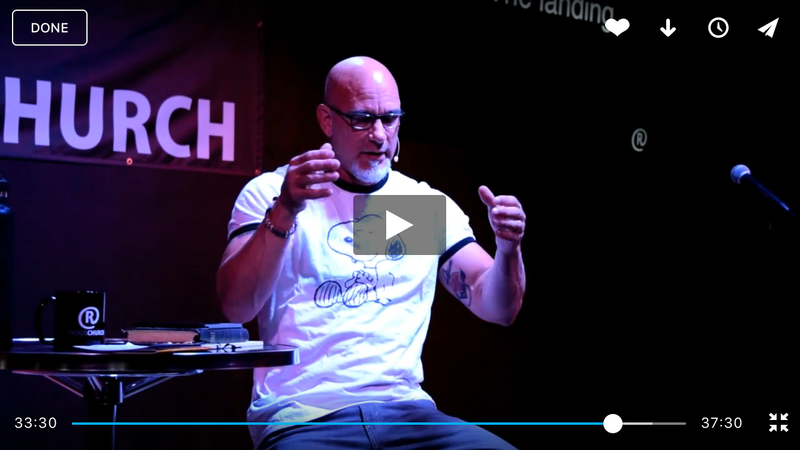 He emphasized the need to pursue the things God puts on your heart. In that moment I knew I needed to commemorate this special time for the church and for my pastor. I set to work on creating the stage at Radius and designing the custom elements that would make this build truly unique. One tricky part to this build was from the initial idea to completion the decoration on the stage changed. It started out pretty simple (table, stool, microphone, speakers) and then they added furniture to the stage (couch, rug, coffee table, etc.) so I had to add in some little furniture builds to keep it relevant, which I was thankful for because it really fills out the build and gives it some more color. 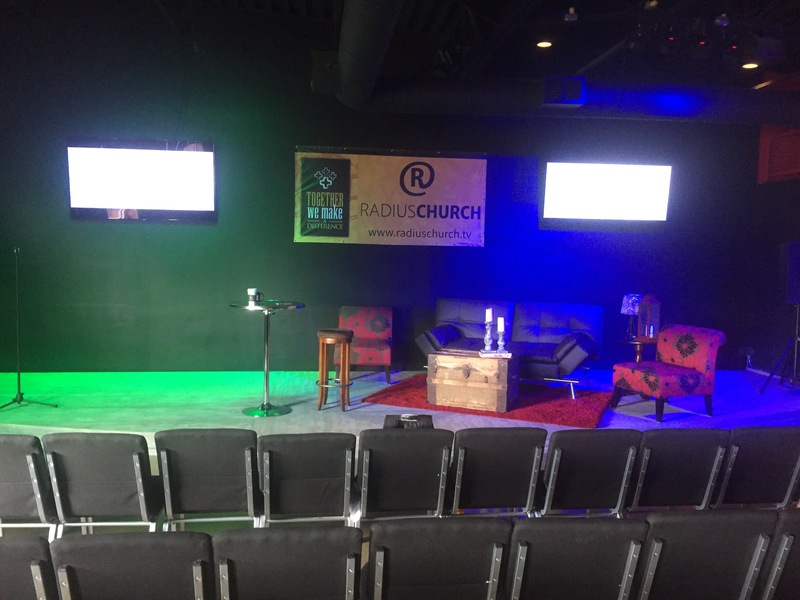 The back wall features a large poster in the center (which is ever changing) flanked by two television screens which has bullet points and scripture throughout the sermon. 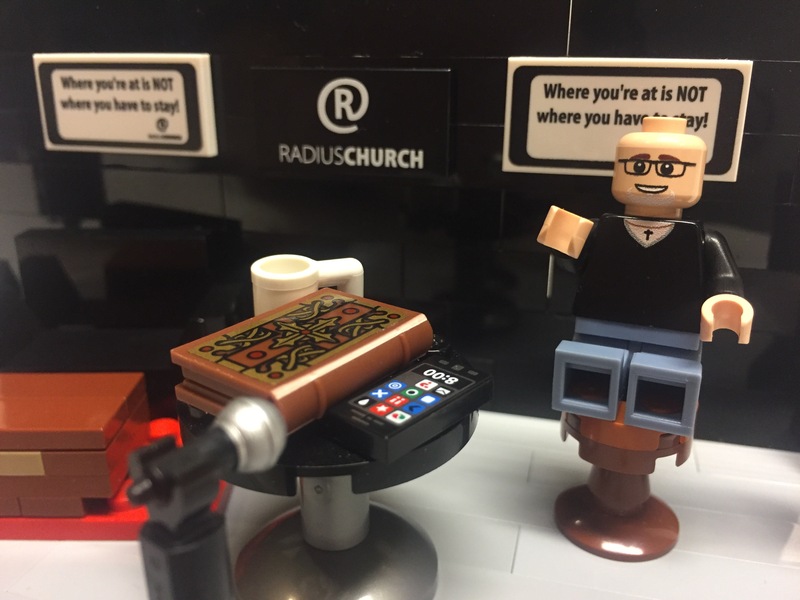 One of Pastor Hubbard’s well known sayings and probably my favorite is “Where you’re at is not where you have to stay.” So I had that printed on tiles for the screens. I had the church logo printed on a black tile to make the center poster, which is how it was on launch day. The accessories included (coffee mug, tablet/phone, Bible) are typical staples on the pastor’s table. 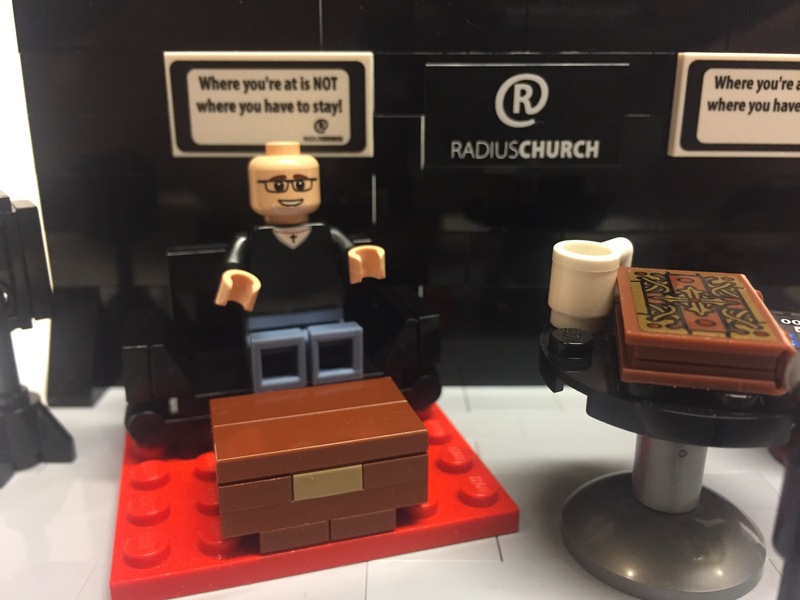 Special thanks to the team at minifigs.me for perfectly executing my requests and direction in their design and printing of all the custom pieces, which not only included the tile pieces but the head and torso pieces to create a minifigure version of Pastor Ken Hubbard. Reference image sent in for minifigure head design. 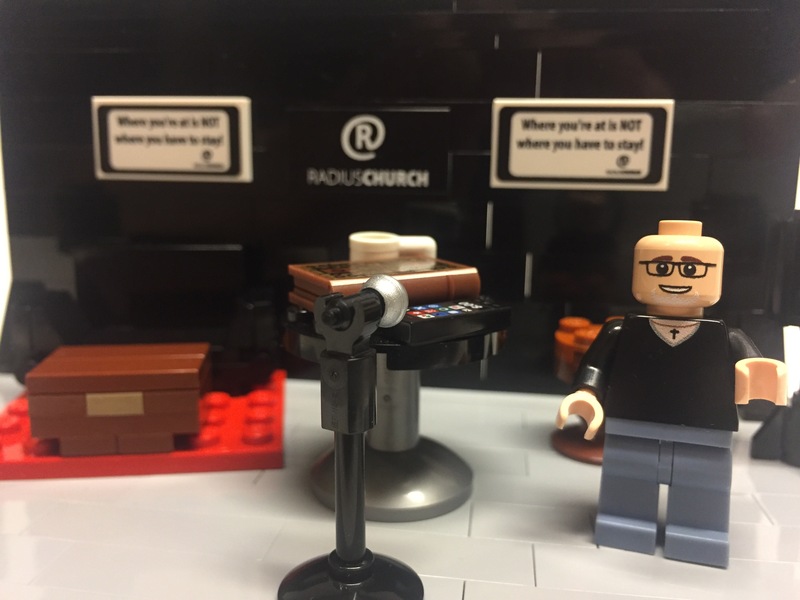 They created a head piece with his signature white goatee and a double sided head, one with glasses and one without, as Pastor Hubbard is always switching back and forth as needed. They also printed a torso with his cross necklace. And as a bonus, there is a second option for Pastor Hubbard. Outside of church he enjoys riding his motorcycle so there’s a more casual attire with biker jacket and beanie. Pastor Hubbard has been known to move about the stage so here he is enjoying the various vantage points. I hope you enjoyed checking out my latest creation. It was an absolute joy to create. As stated before, it is very special to me, as is my church. And I’m so thankful for an amazing pastor.